Jean Carlin was born March 24, 1936 in Anawalt, WV to Tony & Katherine Vaselaros. 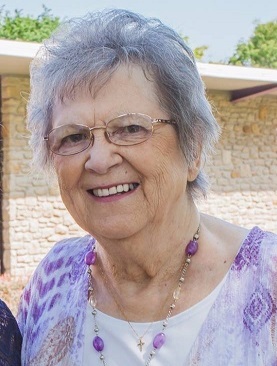 She passed from this life on September 25, 2018. Jean was preceded in death by both parents and a step-dad, brother - Freddie Lee, sister - Edith Hunt. Survived by sister - Helen England, daughter - Cindy Andrews (Russ), nephew’s - Brian England (Michelle), Kevin Hunt (Angela), grandchildren - Tony, Stephen, Sarah, Jonathan. She enjoyed her many years working in the grocery industry and UPS. She enjoyed bowling, playing cards, dancing, gardening, reading, traveling, and spending time with loved ones. She loved her family very much, and will be greatly missed. The family suggests donations to a favorite charity or a celebration with loved ones in lieu of flowers.